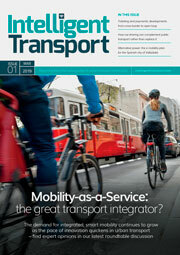 Just five years ago, transport and mobility were simple concepts. You drove a car that you owned and manually planned trips based on the mode of transport you were taking. But things are changing, fast. 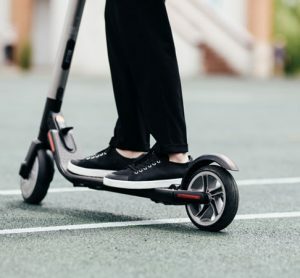 Digital technologies are breaking down the barriers between different modes of transport and a host of developers are completely reimagining what we mean by mobility. Bosch’s concept for driverless electric shuttles, announced at the 2019 CES conference, is a case in point. The shuttle service is armed with a Wi-Fi connection and packed with screens to benefit the passengers during the completely autonomous journey. In the near future, such a shuttle service would be managed using a software platform that passengers can access via a smartphone app. The software handles the complex task of planning the best route from A to B, whilst checking if anyone else needs a ride along the way. As there is no driver, passengers are identified when they are picked up using biometric technology built into their smartphones. Insurance – there is no need to maintain an insurance policy as an individual. It’s quite a vision and one that is edging ever-closer. As we saw in January 2019, the UK’s Law Commission is to assess whether public transport laws should be updated to make it possible for buses to use variable, rather than fixed routes. This would open the door to driverless public transport vehicles fitted with intelligent ride-hailing technology. Using technology to find optimal routes that reduce the need for high numbers of vehicles to be on the road seems like an obvious solution to the problem of our heavily congested roads. 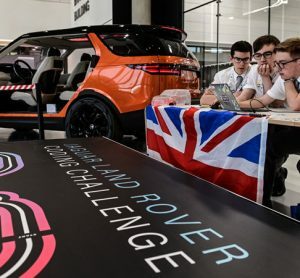 Presently we are in the midst of something akin to a Cambrian explosion in emerging technology, and it is bringing concepts such as driverless electric vehicles closer than ever. Emerging technologies like AI, IoT and blockchain can now be combined in ways we couldn’t imagine even a few years ago. 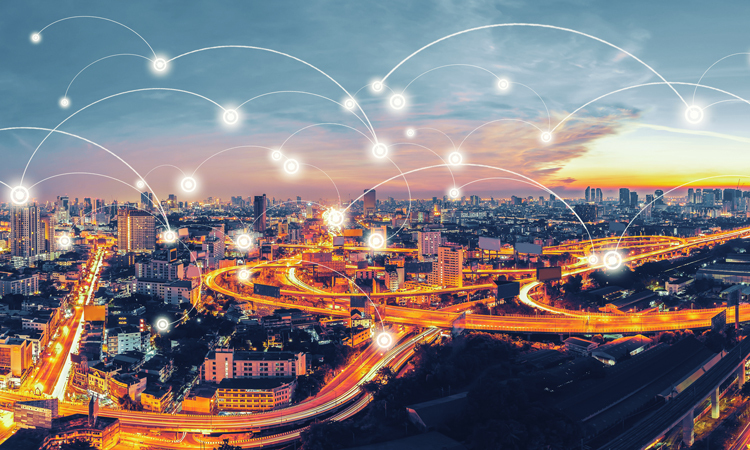 Through the deployment of networked sensors, the IoT delivers unimaginable amounts of real-time data, perfect for feeding AI models so they can make decisions. These decisions can include what speed to drive a car or when to brake. Blockchain technology affords an open, secure and trusted place for data to reside. This data is accessible to the various stakeholders that need it to deliver services – something we previously required a multinational company for. What’s more, blockchain-enabled Smart Contracts offer a means for distributed parties to cooperate in solving complex routing and mobility optimisation problems. Smart Contracts (SC) are computer programmes that allow developers to harness the potential of an underlying blockchain infrastructure. The concept of a protocol to facilitate and enforce the terms of a contract has existed since 1996 and more recently has been pioneered by the Ethereum community. To date, SC have been used to automate relatively straightforward tasks. For example, ‘if a flight is delayed by three hours or more, pay out £300 in compensation to the holder of our flight delay insurance policy’. Some insurers have already implemented this type of simple contract and it represents a big step forward in automation of the claims process – but our vision for SCs extends far beyond current use cases. At Fetch.AI, infrastructure is being built to provide decentralised solutions to complex coordination problems through a new type of contract called Synergetic Smart Contracts. These are extensions to the original concept of smart contracts, enabling off-blockchain computation to be included in agreements involving multiple parties. Examples include optimisation problems in the mobility sector, such as package delivery or autonomous car routing. Uber car pool, but without Uber? Uber’s car-pooling service Uber Pool is an example of a centralised system that provides coordination and reduces costs for passengers by allowing them to share a ride. The ecosystem comprises several taxis, many passengers and a large number of destinations dotted around a city. Uber’s algorithm plans the optimal route for each taxi based on passengers’ willingness to pool so that everyone benefits by squeezing a little more efficiency from the routing and sharing. 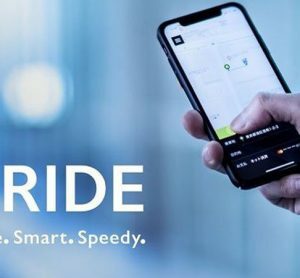 However, this comes at a cost, with Uber charging a substantial fee for solving the optimisation problem and handling payments between drivers and passengers. Wouldn’t it be interesting if we could decentralise this service? The problem is, today’s SCs cannot deliver this type of complex solution. They are simply not designed for this problem and don’t provide the functionality that is needed. Rather, today’s SCs would take each journey in isolation for each taxi, without the ability for the taxis to say, ‘I’m taking this part of the city, you look after that part, and overall we’ll have the most efficient routing solution’. However, Synergetic Smart Contracts are specifically designed to solve and use optimisation tasks that may be combinatorial in nature and in many cases involve very large amounts of computational power. Importantly, they enable optimised coordination between parties in situations where coordination can provide an economic gain to all participants. They are, therefore, ideally suited to the mobility industry. The trick is how to coordinate all of the different parties for their mutual benefit. By specifying the problem within a Synergetic Smart Contract the challenge is posed to miners on the network. Miners (those contributing computing resources to the network) then compete to provide the best algorithm and solution to the problem by processing the available data. In this case, the data includes the location of the taxis, passengers and their destinations combined with information on which passengers are willing to share with others. The different stakeholders contribute a small fee to be included in the contract that is dependent on the complexity of their submission. These fees then provide the reward for miners who obtain a solution. Of course, one miner might not solve the entire problem. It might be that several miners plan optimal routes for a single taxi, or a couple of taxis, but importantly system users are incentivised to only reward these partial solutions when they improve the overall vehicle routing plan. Synergetic Smart Contracts allow mobility ‘problems’ to be solved in chunks, but always with the complete problem in mind and optimising for overall efficiency. Only by considering the complete optimisation problem can we deliver levels of efficiency that surpass today’s centralised platforms. 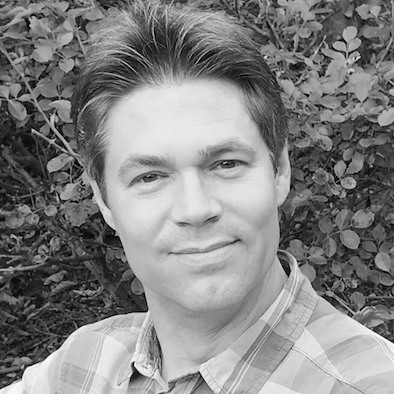 Toby Simpson is the Chief Technology Officer at Fetch.ai. With over 25 years of experience in software architecture and development, Simpson has built and directed several successful computer games and acted as the CTO across three companies. Simpson takes a fresh, biologically-inspired approach to managing software complexity and creating digital intelligence – something he applies to his role at Fetch.ai. Technologies have absolutely made a great significance in every sector..This is also no exception..Thank you for this article! !